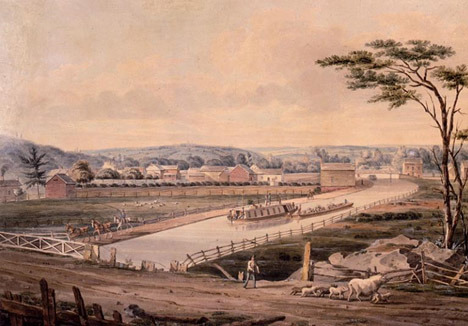 The construction of the Erie Canal brought with it the first opportunity for commercial use of Conneaut Lake. Until its completion in 1825, Conneaut Lake was accessible only by foot trails. It wasn’t until the southern end of the canal, called The Beaver Erie Canal, reached Conneaut that the social and physical landscape of the area would begin to see dramatic change. The Conneaut Lake Our Town Team, “Erie Canal,” NW PA Heritage, accessed April 26, 2019, http://nwpaheritage.org/items/show/18.